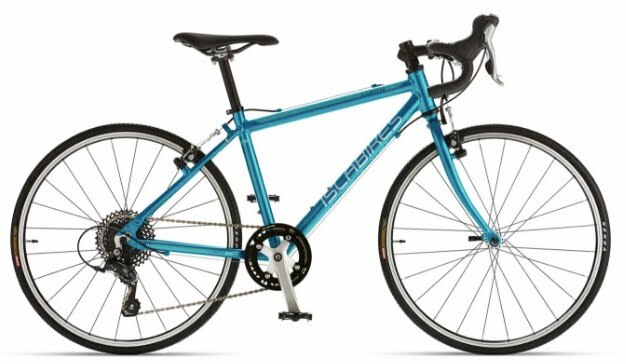 As it happens, prior to the bike's arrival my son had been pestering me for a cyclocross bike. Quite honestly I'm not sure how he even learned about cyclocross--I mean I guess I must have explained it to him at some point but I don't really remember. 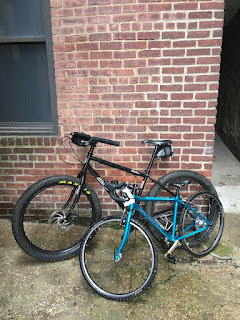 Anyway, whatever I said must have stuck, because on our short rides around the neighborhood he'd practice dismounting and remounting his mountain bike and going on about how he wanted a real cyclocross bike. As you can imagine, he was rather excited when the genuine article arrived. (Not nearly as excited as he is about anything Nintendo-related, I'm not gonna lie, but still excited.) Subsequent to its arrival, we've ridden it to the zoo and other places, but he had yet to partake in any actual cyclocross. That finally changed yesterday. 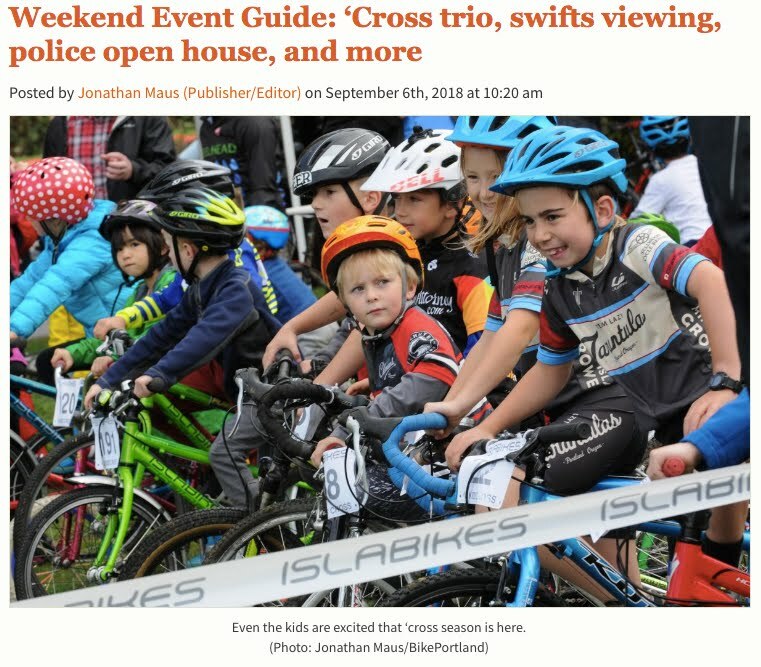 Once September rolled around I headed over to BikeReg to see if there were any area cyclocross events that included kids' races, and in fact it turned out there was a training series about an hour's drive north of us put on by Pawling Cycle and Sport that looked like it would fit the bill. (Spoiler alert: it did fit the bill and I recommend it.) So early yesterday morning we loaded up the Wagon Queen Family Truckster and hit the road. 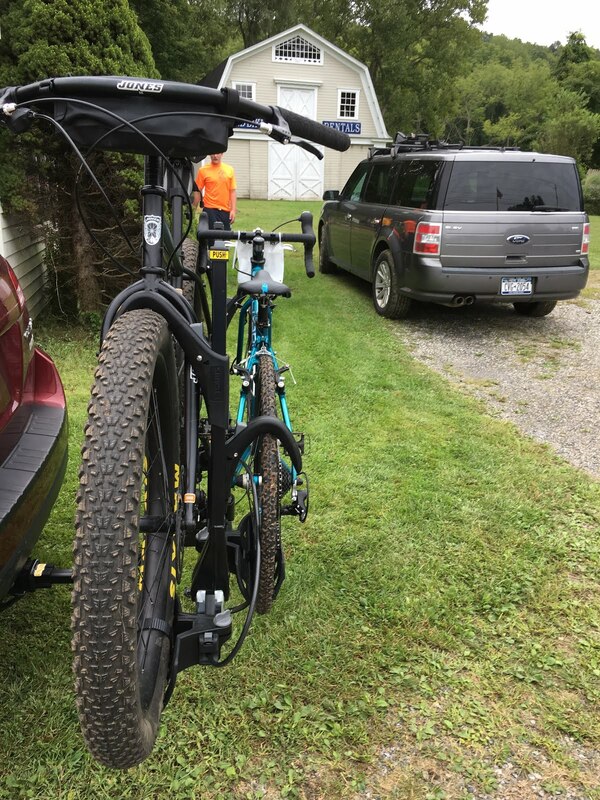 Since seeing that video I'd been wondering how the SWB would do as a cyclocross bike, and I figured a low-key training race behind a bike shop in Putnam County was a perfect opportunity to find out. While this is only like my third trip with the hitch rack I think I'm ready to say I prefer it to the roof rack. Even though I have to attach and remove it for every trip it's still less of a hassle than removing wheels and so forth, especially when multiple bikes are involved. The sartorial choice however was all mine. I personally find the hockey-jersey-and-sweatpants to be very SSCXWC-chic, but after seeing some of the more kitted-out kids now he wants proper cycling clothes. After his race it was my turn. 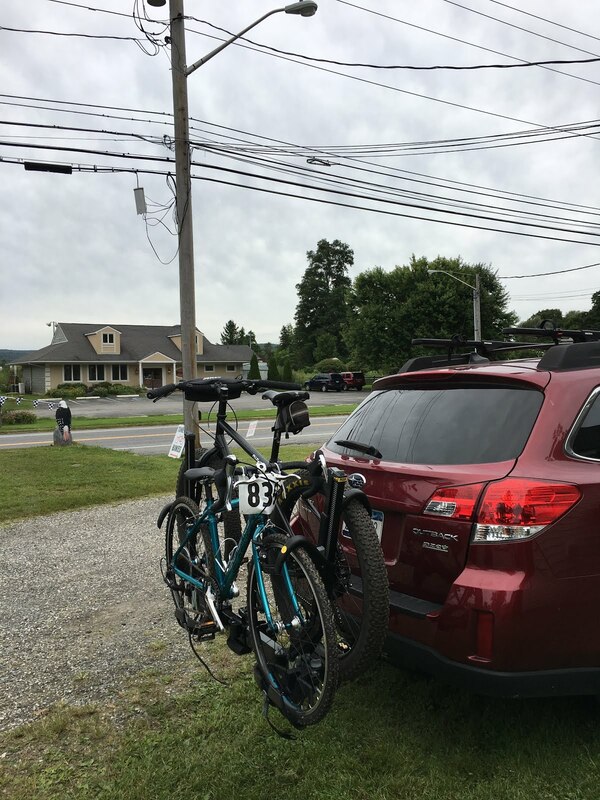 Between being mostly there for my son and the casual nature of the event I hadn't really even given the race much thought, but as soon as I was out on the course it all came back to me: the whole "Wow this hurts! What was I thinking?" thing after which you eventually find something resembling a rhythm, followed by that post-race elation that makes you want to do it all over again for some reason. 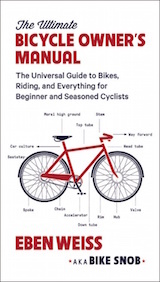 It really is riding bikes distilled. And no, I didn't attempt to hop the barriers, because I didn't feel the need to embarrass myself any more than I already was. Not only did using the bike this way give me a whole new appreciation for it, but I also found myself thinking how ironic it is that the popularity of cyclocross kind of jump-started the whole fatter tires on bikes thing--yet the one discipline of cycling that still insists on narrow tires is cyclocross. All that notwithstanding, this is ostensibly a review of the Islabikes Luath 24. In this context dorking out over tire width is silly. Would a child be faster on the kiddie version of a "plus" bike? Who the hell cares? Really, this is a bike to teach an interested kid about "classical" drop-bar riding, whether that's road riding, cyclocross, or just the joy of going down a hill while tucked into the drops. For that it's perfect. It's got a single-ring drivetrain, top-mount brake levers, cantis, bottle and fender mounts... The only thing I'd bother to change is the bar tape, which is kind of cheap and harsh. However, being lazy I just bought him gloves instead, and being a kid he's way into wearing the gloves because it's more gear, so problem solved. Fun story, and fully support your positive words about the Islabikes - having had a couple of them for my own kids. Very well thought out bikes. So ur kid is out racing cyclocross wearing his mothers jeans...cool! And maybe it's the angle of the dangle, but those tires on the Jones look HUGE! I've noticed my mtb tires keep getting wider and wider, and other than the heavier tires (really not noticeable) it's all bonus! The grip pretty much anywhere is fantastic, and the MENTAL boost of seeing the big tires under me give me confidence to corner faster than I would normally do. The only downside is having all that fantastic grip and cornering faster and faster means the inevitable wash-out crash from finding the limit of their grip (you only know the true limit when you've surpassed it). Best review ever! 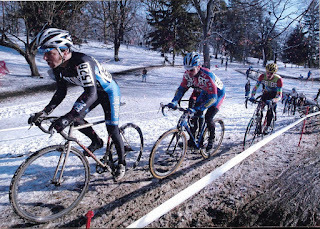 I saw you race at what was likely one of your last cyclocross events at Granogue in '11. It seems you had quite a bit more fun this time than you did back then. nice juxtaposition of the fat tire/skinny tire hanging off the back of the car. you also don't want a sloping top tube to carry the bike over barriers. No root beer hand ups? I see that Snob, jr. is wearing now-politically-incorrect Nike sneakers. The judges will give you a pass on this one under the assumption that they were purchased before the current kerfuffle, and on the assumption that like most kids, he will have outgrown them within three weeks of you having purchased them. Of course, New Balance is the official shoe of middle-aged white men, but he is decades away from the unbearable pressure to wear them exclusively. In fact, his dad is surely on the cusp of mandatory New Balance shodding. Got them months ago. Felt weird about it then, feel much better about it now. I was going to say the boy needs more Nike logos on his kit, but such a comment is now political in nature, and I didn't want to inject politics into an otherwise perfect blogular entry. So now I'll say it: The boy needs more Nike logos on his kit! Loved the "What was I thinking" line about cx racing - I never get the old ticker up to the level I do in a cx race - never - (training? not for me! )- no doubt that is why I always am "bringing up the rear." I assume that you are going to turn your child into a profit-making center by signing him up for a kit modeling shoot, right? The sky's the limit on your future profits. "...thanks to his mother's genes because I can't imagine mine were any help..."
He also seems mature and not at all smug. Hooray for amortizing sporting equipment by having several kids : ) Those silly cyclists riding in the snow in the oldish cx photo, they could have much more fun on xc skis. Great article on you and Sonny.you could've stopped at daryl's house post-ride,but that'll be another trip. I hope you coasted on the grass sections just like Mr Jones. Seems kinda steep for $800. The are closeout Raleigh RX24 with Apex 1X10, cable discs for just over $400. 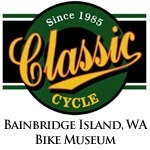 $800 doesn't seem that bad in the context of how much anything bikey not found in a big box store costs. and someone perched high a top a hand hewn ancient redwood fred sled can certainly afford $800. what generation Nintendo you running? I run N64 which is the Campy Athena of Nintendo systems. Goldeneye...Fifa '99 ...fantastic, classic, still work great and that controller allows for precise shifts on mario cart. The Wii is pretty slick. Its more like the sturmey archer i'd say. When I was a boy we had to program our own computer games. I wrote a lunar landing game in FORTRAN. On punch cards. And drove a Sturmey Archer AW to/from the computer building. 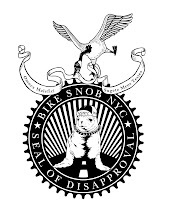 Snob, that may be your best blog yet. Very sweet and touching. You have either embraced fatherhood wholeheartedly, or you are being swept along in the current like a log over Niagara. Cheers. Hey you kids, get your bikes off my lawn. To Skidmark's point, the Raleigh you site was originally priced about the same as the Islabikes. The closest I ever got to wanting a kid was in the 1970s, when a Dutch guy came in with his kid's racing bike, looking for 20" sewups to fit it. I recall it had a 4-speed freewheel. Damn, it was cool, but not quite cool enough to have a kid to justify buying one. He ended up going to Mel Pinto to get the tires, if memory serves me well. what NO ONE has asked is - what the hell happened to the hyundai? that outback is at least 4 years old. 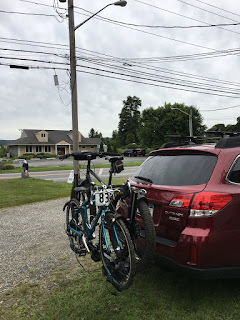 i am (or was before i started shrinking) 6'4" and find that too high for a roof rack. Islabikes makes high quality stuff for kids. I'm a fan! And the resale value, when your kids outgrows it, is fantastic.